By Kalpak Travel via Flickr under Creative Commons license. Economic relations between the European Union (EU) and Tajikistan are limited. The trade balance between the two parties over the past few years has been negative. While the EU has signed an Enhanced Partnership and Cooperation Agreement (EPCA) with Kazakhstan and is discussing similar agreements with Kyrgyzstan and Uzbekistan, which should boost trade, there are no plans for an EPCA with Tajikistan. Tajikistan’s increasingly authoritarian policies are a hindrance for the country to advance its economic development and attract more EU attention in the form of trade or development support. Tajikistan is also lagging behind in terms of economic development compared to the other Central Asian republics. Small and medium-sized enterprises (SMEs) are normally essential players in local and regional trade. But Tajikistan does not have an SME-friendly environment. The country ranked 126 out of 190 in the World Bank’s ‘Ease of doing business 2019’ (Kazakhstan ranked 36, Kyrgyzstan 70, and Uzbekistan 76). 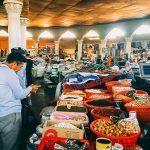 In Tajikistan, it is difficult to create or maintain SMEs due to geographical, bureaucratic and financial hurdles, and widespread corruption. First, it is a mountainous and landlocked country (the nearest seaport is 3.100 km away), with poor road and rail infrastructure and difficulty to cross borders to neighbouring countries such as Afghanistan and Uzbekistan (procedures remain lengthy and burdensome). Second, there are several and costly administrative procedures to start a business. The registration process is complicated and opaque. Official fees are €132, but the amount is often higher given the need to hand out bribes. There are various agencies involved, and the process takes around 11 days or more depending on the license required. SMEs also require a series of other permits relating to safety, sanitation and so on – all from different offices. Third, there is a lack of financing that limits SME establishment and affects success rates. Tajik financial institutions have unfavourable lending conditions for SMEs in comparison to the other Central Asian countries. In Kyrgyzstan, financial institutions offer SMEs different types of loans as part of business development programmes. In Kyrgyzstan, the average interest rate for bank loans is around 16 per cent annually with a 7-year credit term, while in Tajikistan it is around 22 per cent with a 4-year credit term. This results in a vicious circle for Tajik SMEs: banks are cautious of lending money given SMEs’ low success rate, while SMEs’ success rate is low partly due to their inability to access credit. Fourth, a non-transparent tax system and a myriad of inspections hinder SME development. There are roughly 20 different inspection bodies and even though there is a law prohibiting inspections of SMEs within the first three years of operation, it is hardly followed. SMEs are given no advanced notice of inspections and inspectors will often follow no guidelines. Bribes tend to be the only way to lessen this burden. And last but not least, corruption at all levels of administration and society is the largest barrier for SME and economic development. Corruption also severely affects development cooperation, and the impact of international aid remains modest, at best. SMEs are essential for Tajikistan’s economic and social development. SMEs can boost inclusive economic growth by incorporating people from all segments of society. They can increase employment throughout the country, from rural areas to big cities, and help reduce mass labour migration (to Russia and elsewhere) or offer returning labour migrants better conditions to start their own small businesses. Finally, SMEs can help to diversify the economy and make it less dependent on a few key industries. All these matters are desperately needed in Tajikistan. The EU is one of the main donors seeking to assist Tajikistan with its economic and SME development. Tajikistan has the largest number of EU-funded private-sector projects among Central Asian countries. The EU provides assistance to SMEs through the Central Asia Invest Programme. Within the scope of this programme, the EU supports Business Intermediary Organisations (BIOs) that help SMEs in specific sectors to organise themselves. BIOs provide training for member organisations and advise on issues such as intellectual property, taxes or financing. Tajikistan also benefits from the Investment Facility for Central Asia (IFCA) that provides investment grants and technical assistance. Moreover, the EU’s support for educational programmes, vocational training and exchanges also have a positive bearing on SME development, while EU civil society and rule of law support positively influence local economic development. One institution that could largely benefit from European technical and financial support and which is essential for SME development is the Chamber of Commerce. On paper, the Tajik Chamber of Commerce facilitates business relationships by organising exhibitions and fairs, cooperates with international partners, settles disputes between enterprises and entrepreneurs, and provides certificates of origin, among other services. But in reality, the Chamber of Commerce struggles to represent its network of 650 enterprises from throughout the country. Events or training for registered companies and start-ups are not organised on a regular basis, and it does not seem to promote the interests of entrepreneurs. The Chamber of Commerce should be the private sector’s leading advocate. First, it should assist SMEs with administrative procedures, licenses and permits, to decrease both the incidence of non-compliance with regulations by start-ups and the number of bribes. Second, it could help by training entrepreneurs on financial literacy, ranging from basic financial accounting to writing business plans or analysing the market. Third, it should serve as a meeting place for entrepreneurs to exchange experiences and create networks. The Chamber of Commerce could also increasingly help small companies to find foreign partners. In this sense, creating links with other Chambers of Commerce in neighbouring countries – or establishing a regional Chamber of Commerce – would be beneficial. The EU could help by supporting the strengthening and modernisation of Tajikistan’s Chamber of Commerce. This is also an area that could be of genuine interest to the Tajik authorities as being a key stakeholder in the strengthening of the Chamber of Commerce would help improve their image. 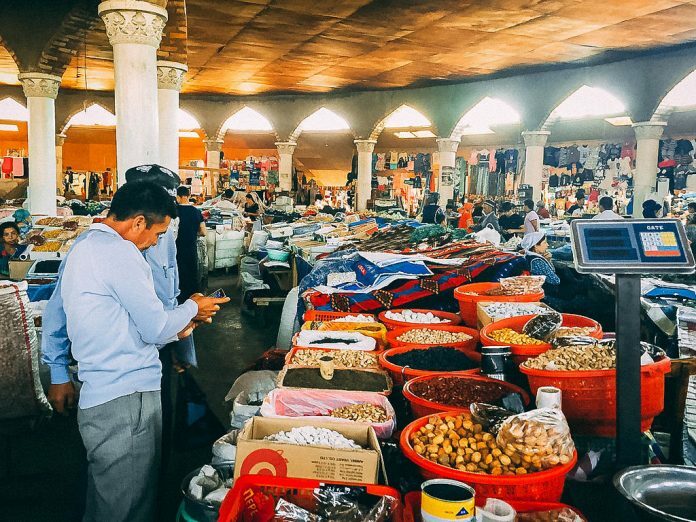 SME development is badly needed to help diversify the Tajik economy, gradually decreasing its dependence on remittances from labour migration to turning SMEs into the backbone of the economy. While international partners such as the EU can offer much-needed assistance, in the end, it is Tajikistan’s entrepreneurs who need to take lead and the government that needs to give them the possibility and opportunity to do so. 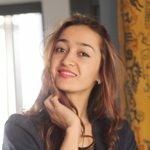 I have more than five-year experience as a commercial account manager in Amadeus which is a market leader in IT solutions for Central Asia’s travel industry’s. In my work, I am involved in the cycle of sales, delivery and customer support. I have recently obtained an MA in Economic Development and Governance from the OSCE Academy in Bishkek. During my studies, I was involved in developing a study on Kyrgyzstan’s accession to the Eurasian Economic Union and did research on the role of trade unions. The objective of my thesis was to provide an analysis of the production structure in Tajikistan’s economy with a focus on quantifying the complex web of inter-industry linkages and their impact on the economy. As a research fellow of EUCAM, I will work on EU’s position on trade with Central Asian countries, especially with Tajikistan.